It’s hard for me to believe that BlogHer was just a week ago. I have had a million thoughts racing through my head following the meeting, most of which I have posted about over at my personal blog Pop Discourse. I still have one more post forthcoming re: BlogHer programming; meanwhile, my fingers are worn to the nub so I will simply redirect you to plenty of engaging reading per my posts on the age of mommy blogger discontent, marketing to women of color, why I’ll be heading to BlogHer NYC in 2010, and ideas for how bloggers and sponsors can co-exist in harmony. 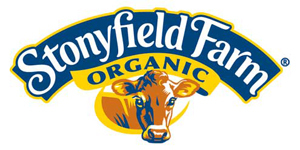 Many thanks to my BlogHer 2009 sponsors 360 Public Relations and Stonyfield Farm!